We decided to get an early train out of Barcelona this morning. Our train left at 7:20. We changed trained in Nimes and got to Arles at around 1:30. This is Duke’s first trip to France. It is his second new country of this trip. This is in many ways the beginning of phase two of our trip. We are out of Spain and of course don’t have a car any more. It also means I don’t have Duke’s fluent Spanish to rely on. I speak a bit of French but nothing like Duke speaks Spanish. 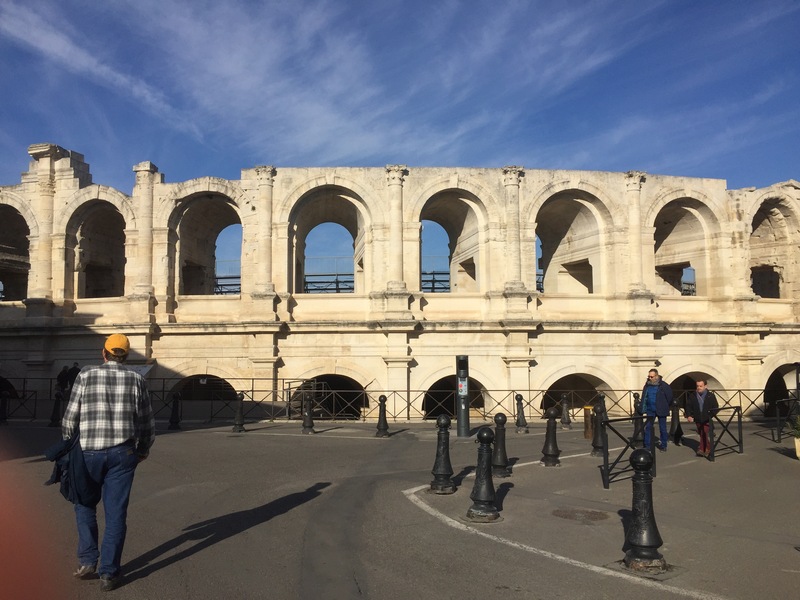 When we got to Arles we were standing looking at a big map outside the train station when an American behind us asked us where we were from. We told him and asked him the same. He said near Sacramento. He said when he had to evacuate because of the Oroville Dam situation he decided he might as well head to France! From the train station we walked to our hotel which is a bit out of the center of Arles. After resting some we walked around the old town. 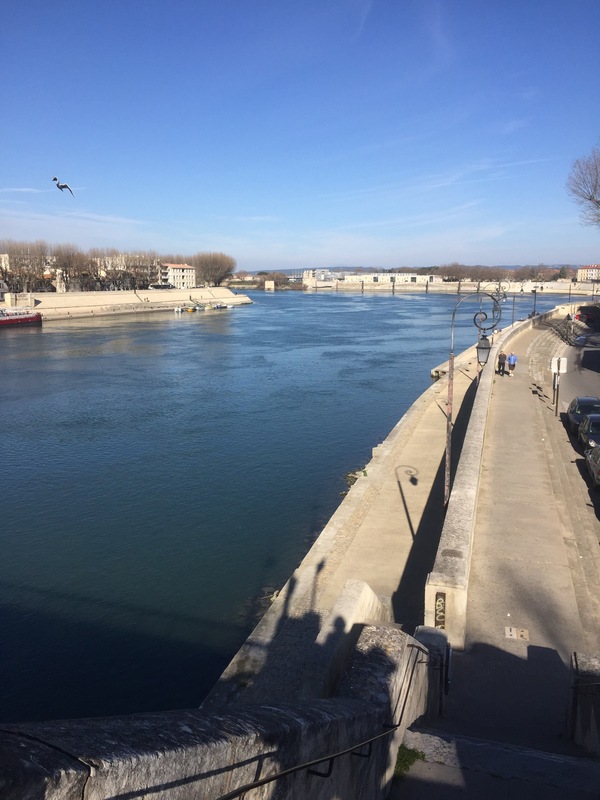 Arles is on the Rhone River. 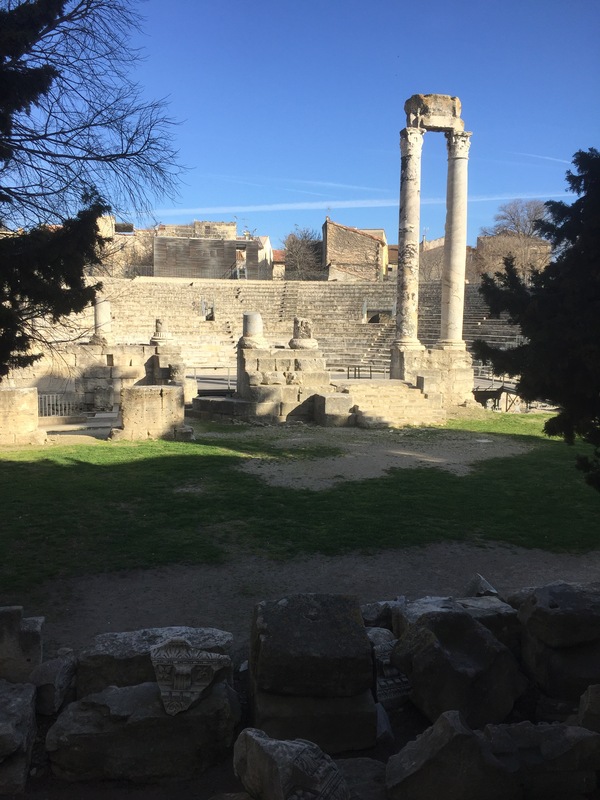 They have an enormous Roman Arena and a ruined Roman Theater. 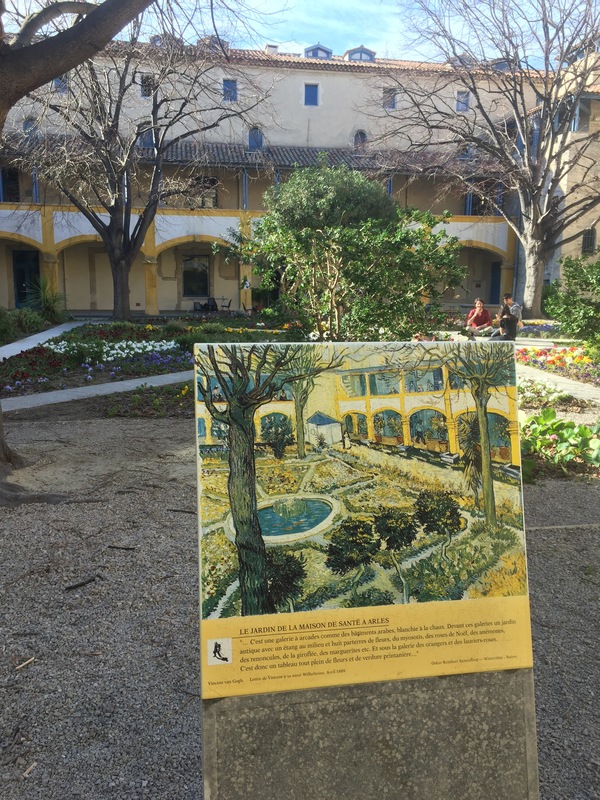 In addition Vincent Van Gough began living in Arles in 1888 and painted more than 200 paintings here. Although none of them are still in Arles there are plaques all over Arles showing where some of Van Gough’s famous paintings were painted. 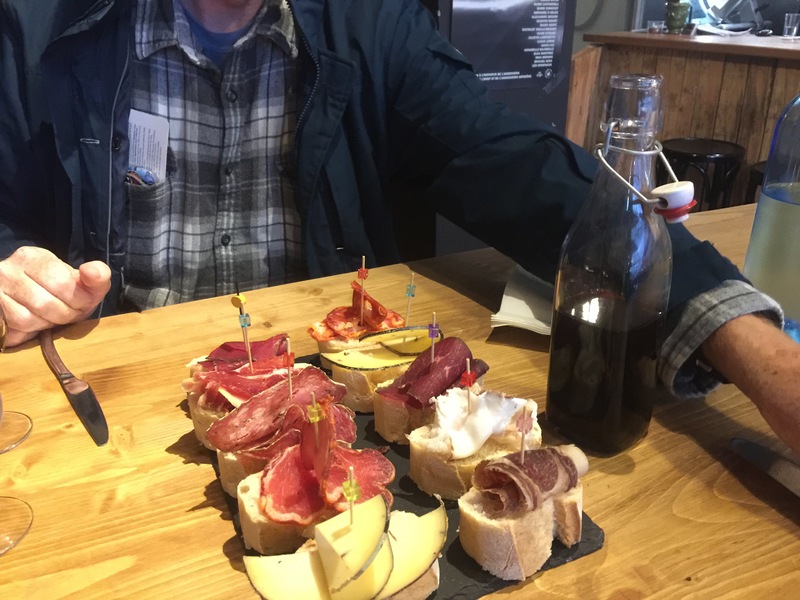 For dinner we shared a cheese and charcuterie sampler. After that we tasted a few more cheeses. They were all incredibly good.